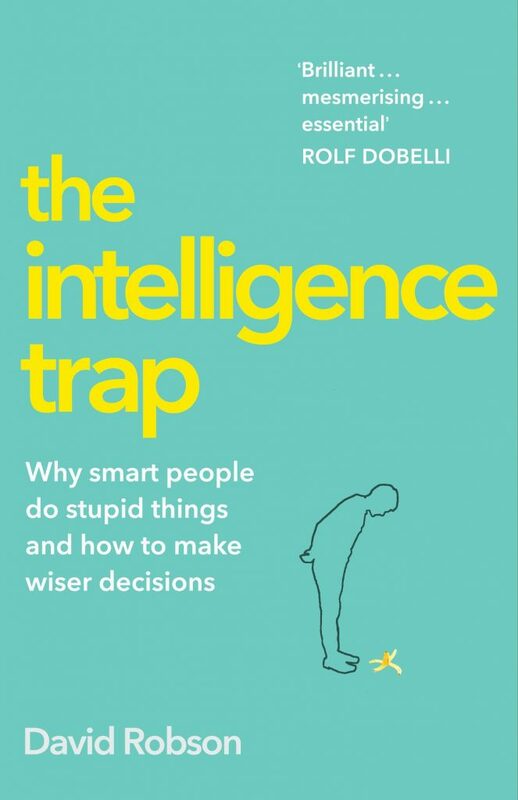 Posts tagged "The Intelligence Trap: Why Smart People Do Stupid Things and how to Make Wiser Decisions"
In 2010, a group of mathematicians, historians and athletes were tasked with identifying certain names that represented significant figures within each discipline. They had to discern whether Johannes de Groot or Benoit Theron were famous mathematicians, for instance, and they could answer, Yes, No, or Don’t Know. 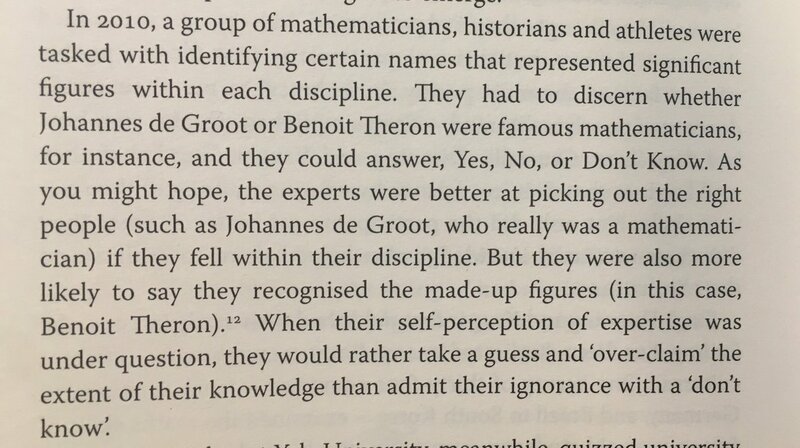 As you might hope, the experts were better at picking out the right people (such as Johannes de Groot, who really was a mathematician) if they fell within their discipline. But they were also more likely to say they recognised the made-up figures (in this case, Benoit Theron). When their self-perception of expertise was under question, they would rather take a guess and ‘over-claim’ the extent of their knowledge than admit their ignorance with a ‘don’t know’.